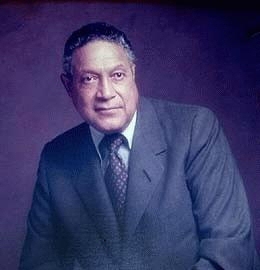 Dr. Earl V. Miller was the first African American board certified urologist in the State of Washington and the first west of the Mississippi. He was born in Natchez, Mississippi, and received his B.A. degree from Dillard University in New Orleans in 1943. He joined the Army Specialized Training Program at Meharry Medical College and received his M.D. degree in 1947. While practicing general medicine in Columbus, Georgia he was active as a leader in voter registration, in seeking equality in schools, and in desegregation of the city’s golf courses. Because of his desire for more training in surgery, he served in residencies at Tuskegee Institute and Meharry Medical College and completed his training in urology at the University of Iowa. In 1959 Earl Miller chose Seattle for his practice and opened his office in the Stimson Building, later moving to the Medical Dental Building. He was chief of urology at Harborview Hospital and Clinical Associate Professor at the University of Washington. Because he and his family were refused housing outside the central area, he became actively involved in the 1960s civil rights movement. He was a force in the NAACP and the Congress of Racial Equality (CORE). Along with philanthropist Sidney Gerber and civic activist Jim Kimbrough, he served on the board of Harmony Homes, an integrated housing venture. Prior to the voluntary transfer program in the Seattle Public Schools, he was appointed to serve on the Equal Education Opportunity Committee, the first citizen’s committee formed by the school administration to deal with the segregation issue. Dr. Miller was a connoisseur and collector of wine, an avid reader of history, a scientist, and a dedicated practitioner of medicine. He retired from private practice in 1993. Historylink.org Online Encyclopedia of Washington State History, "Miller, Dr. Earl V. (1923-2005) by Mary T. Henry) http://www.historylink.org/ (accessed March 27, 2005). Historylink.org Online Encyclopedia of Washington State History, “Miller, Dr. Earl V. (1923-2005) by Mary T. Henry) http://www.historylink.org/ (accessed March 27, 2005).